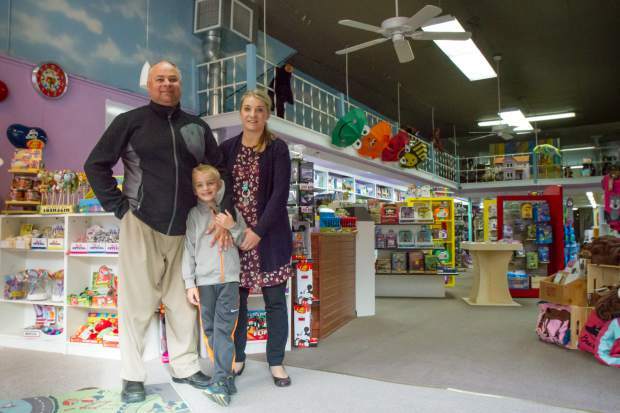 Noel Bismark-Pettit, who with his wife, Joanna, owns the Dancing Bear Trading Post in downtown Glenwood and the General Store on Sixth Street, recently opened Glenwood Toys & Gifts at 822 Grand. Also pictured is their 7-year-old son, Kuba. It’s been a while since Glenwood Springs has had a store dedicated to one of the greatest childhood joys of the holiday season. “We had a lot of tourists and locals coming in asking where they could get toys,” said Noel Bismark-Pettit, who with his wife, Joanna, owns the Dancing Bear Trading Post in downtown Glenwood and the General Store across the Colorado River on Sixth Street. In addition to their souvenir offerings and Doc Holliday memorabilia at the popular Trading Post, they began offering a variety of toys three years ago at the 727 Grand Ave. location. But the demand for toys and children’s clothing became more than the “something-for-everyone” shop could accommodate. So, Noel and Joanna recently open Glenwood Toys & Gifts at 822 Grand, in the former Glenwood Sewing Center location, in order to meet the need. 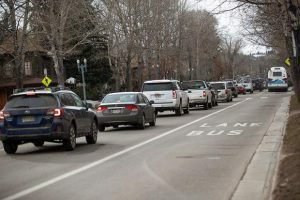 The project has been two years in the making, involving market research to build a model that would fit Glenwood Springs, Noel said. Glenwood has had toy stores in the past, but there hasn’t been one downtown for many years. Most notable in recent memory was Marc’s Toys and Pets in the West Glenwood Mall and before that downtown. The store was operated by Marc and Joan Adler for some 30 years before closing in 2003. Glenwood Toys & Gifts officially opened in late October, and the couple has been busy transforming the interior decor from Halloween to Christmas in the lead-up to the holiday shopping season. A grand opening celebration is planned for today from 11 a.m. to 2 p.m., with free face painting, crafts projects for the kids and treats. The store carries a variety of toys for all ages, including hands-on learning and arts-and-crafts products from name brands such as Pretend and Play and Hape. The main store space includes seasonal decorations and story-telling displays on the wrap-around balcony where the Sewing Shop showcased its ornate quilts. Joanna also wanted to include a selection of baby clothes and gifts for newborns, “things you can’t find at the big boxes,” she said. And there’s even a section dedicated to mom, called the Mom’s Boutique. “We have a little play area for the children, so mom can also do a little shopping for herself,” Joanna said. Another gem is the downstairs area, which was transformed by good friends Noemi and Kris Kosmowski into a party room, with murals, games and special theme areas. 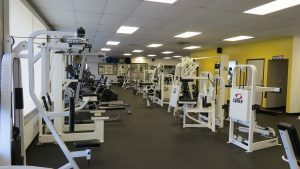 The space is available for birthday parties, baby showers and other private events and will also be used for arts and crafts classes. “Because we have kids, we knew there was a demand for something like this,” Joanna said. She and Noel have two children, Kuba, age 7, and Benjamin, 3. “People want toys that don’t get broken in a day and that are educational,” she said. She said the store is loosely modeled after a favorite stopping point for their own children in Breckenridge, called Peak-a-Boo Toys. Dancing Bear will continue to carry its popular retro and western-themed types of toys, he said. The new toy store will be open from 10 a.m. to 6 p.m. normally, with extended holiday shopping hours in the coming weeks and on nights when special holiday events are planned downtown.